The journey to becoming a trial attorney began for me at a young age after experiencing my own personal loss as a result of the carelessness of someone. I attended college and then immediately began law school at the University of Texas School of Law. While in school, I had the privilege and distinction of working with a Federal Judge, Chief Justice of a Court of Appeals, and a Texas Senator. This experience helped give me a unique insight into how laws are written and applied for the people of our state. I began working as a civil defense attorney representing companies and corporations, including insurance companies, in civil lawsuits throughout Texas. However, I soon realized that my true calling and passion was in fighting for the people on the other side of these cases. Since 2006, I have had the honor to represent and stand next to victims of personal injury in San Antonio, Houston, Dallas, Austin, Corpus Christi, the Rio Grande Valley, and countless small cities and town throughout our state. We strive for our reputation as a firm that will not back down and will prevail for our clients through the end. George attended the University of Texas School of Law, completing legal internships with Judge Fred Biery with the Federal District Court of the Western District of Texas and with Chief Justice Alma Lopez with the 4th Court of Appeals of Texas, in addition to two clerkships with private law firms. After a clerkship with the Texas Attorney General’s Office, George went on to serve as a Policy Analyst in the Texas Senate during the 79th Legislature. George then worked for a law firm defending corporations and insurance companies in personal injury cases throughout the state of Texas. While he enjoyed the legal challenge and experience, George knew his heart was with representing those whose lives had been forever changed by the actions of others. He became a trial lawyer for a prominent personal injury law firm in San Antonio, where he represented victims and their families in serious personal injury and wrongful death cases. During this time, George handled hundreds of cases against insurance companies and corporations throughout Texas. Today, George is proud to be an advocate and a voice for those who have been wronged and seek justice through our court system. The right to trial by jury is a fundamental part of our country’s foundation and George has found his calling in empowering victims of personal injury and wrongful death to exercise that right. George attended St. Mary’s University in San Antonio, Texas, where he graduated with Honors and received the Presidential Award, which recognizes fourteen graduating students each year for their scholarship and service. Immediately after college, George attended the University of Texas School of Law. During this time, George completed legal internships with Judge Fred Biery with the Federal District Court of the Western District of Texas and with Chief Justice Alma Lopez with the 4th Court of Appeals of Texas, in addition to two clerkships with private law firms. 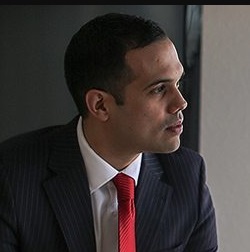 After a clerkship with the Texas Attorney General’s Office, George went on to serve as a Policy Analyst in the Texas Senate during the 79th Legislature.